The Marvel Cinematic Universe that began with Iron Man in 2008 is now hitting a major climax with Avengers Infinity War. To prepare for the film many fans are going back and rewatching various of the films. I have been asked if there is a list of films to watch that specifically educate a viewer on the going ons of Avengers Infinity War. AMC is now offering a Marvel Movie Marathon to go along with Avengers Infinity War. According to Hollywood Reporter currently two locations are set to house the Movie Marathon. The two locations will be AMC Empire 25 (Times Square, New York) and AMC Disney Springs 24 in Orlando FL. The admission fee for the marathon is $75 and includes 12 films with final being Infinity War. There are 17 films and there will be 18 with the release of Black Panther. This makes for around 45 hours of film time. There are also shorts, and various MCU TV shows including some of my favorites such as Agents of SHIELD, Daredevil, Punisher etc. I am going to try to set up #3 so people can refresh themselves and also if some one wants to catch up and feel knowledgable they can. My goal here is to streamline this list as much as possible but still keep the major plot points. This film order misses a great deal of character introductions but explains the Avengers, the relationships of the Avengers, the Infinity Stones, Thanos, Guardians of the Galaxy, Nebula, Ragnarok, Black Panther and Wakanda. Even Spider-Man and Ant-Man are in Captain America Civil War. Doctor Strange would be given some exposure in Thor Ragnarok. You miss out on Time (Doctor Strange) and part of Space is missed by skipping Captain America. Most of the films that introduce the characters are skipped in this watch list. However, some meaningful character introductions are included Scarlet Witch, Vision, Black Panther, Spider-Man. If I dropped one film out of the list it would be Thor Ragnarok and just end with Captain America: Civil War. Ragnarok does catch up the viewer on important characters such as Thor, Hulk and Loki and it also explains why Asgard can not help Earth against Thanos. I feel that a person who watched this list would have a very strong idea of all the major players, the concepts and relationships that will make up Avengers: Infinity War. This list still cuts out films that are not related to Infinity War including some gems like Captain America Winter Soldier but it does provide all character introductions unlike the list above. I did skip Incredible Hulk because I think Ruffalo's Hulk is better introduced in Avengers. Plus nearly all of the events and characters in the Incredible Hulk have been ignored. The fact that Bruce Banner himself switched actors I think makes that film more confusing than its worth. Black Widow's introduction in Iron Man 2 is also missed but once again I feel that she is very well introduced in Avengers. I debate heavily about including Doctor Strange and Black Panther in the list because both make some appearances in other films. However, the importance of Wakanda and Strange in Infinity War seem to be high so I think their inclusion makes sense. This does miss the Aether Infinity Stone from Thor 2 the Dark World but other wise the Infinity Stone material is covered. You will note that I altered the watch order for this list. The reason I did this is that the introductions of all the characters is handled before Avengers. Then the films Avengers, Avengers Age of Ultron and Captain America Civil War flow very well together. Then Doctor Strange and Black Panther introduce the last important pieces of the Infinity War story. Thor Ragnarok covers what happens to Thor and Hulk and seems like the perfect jump off point to Infinity War and is thus placed after Black Panther. 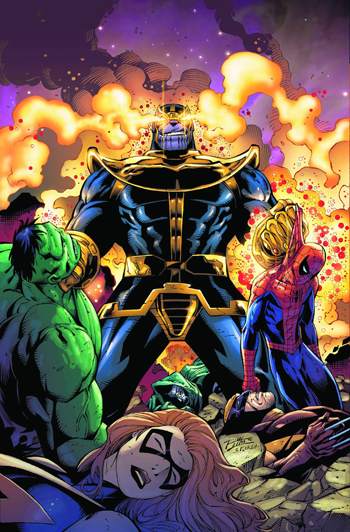 Thanos appears in Guardians of the Galaxy, Avengers (End credit scene) and Avengers Age of Ultron (End credit scene). Putting Guardians before Avengers does come with slightly awkward fact that the Other is killed in Guardians by Ronan but then alive in the Avengers End Credit scene. I just don't see that character as being very important to the overall narrative. Thanos is given a fuller introduction in Guardians that will help non comic fans know who he is in the end credit sequences of Avengers and Avengers: Age of Ultron. What films do you think are most vital to watch Avengers Infinity War? Which films would you change in my lists? Let me know in the comments below!